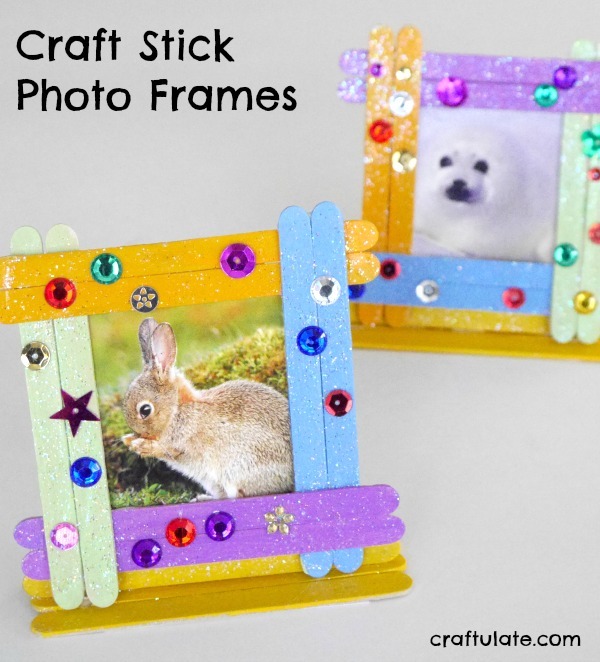 Craft sticks are a wonderful material to work with. 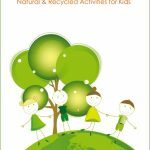 We’ve used them to make flowers, animal puppets, photo puzzles and even kayaks! They’re easy to paint and they stick together well with regular white glue. 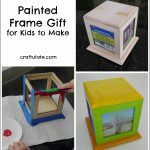 These photo frames are fun for kids to make and would make a wonderful gift, too! 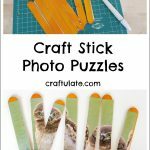 For this craft you could use colored craft sticks, but I decided to use the plain ones that we received from our friends at craftprojectideas.com and paint our own! 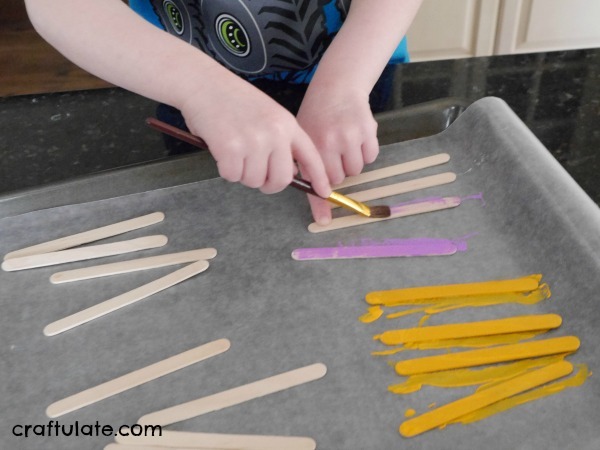 My son selected the colors and I laid out the sticks on a baking sheet lined with wax paper. You need 13 sticks per frame – 8 for the edge and 5 for the base. We painted the sticks, and then let them dry. We only painted them on one side – I don’t think both are necessary! Later that day my son arranged the sticks for the frame edge in the order that he wanted, then we glued them together. The last two sticks fit under the top row and over the bottom row so that they are are even. For the base I cut a small piece of card and glued three sticks to it. Then for the support I added glue to one sick along the long edge and glued it upright onto the base, then glued the remaining stick behind it. 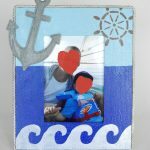 I covered everything in a layer of Sparkle Mod Podge and my son added some decoration! We used some Acrylic Jewels and Spangle Mix, again both from craftprojectideas.com. After everything had dried I used a hot glue gun to attach the frame to the base (yes, that’s three types of glues we’ve used if you’re counting!). Here are the finished frames!